Find this exquisite beach hiding among palm trees which are swaying in the balmy breeze. Enjoy the day on comfortable beach chairs, soaking up the Aruban sun and sipping flutes of the best champagnes. Fresh seafood and excellent cuts of meat are available. 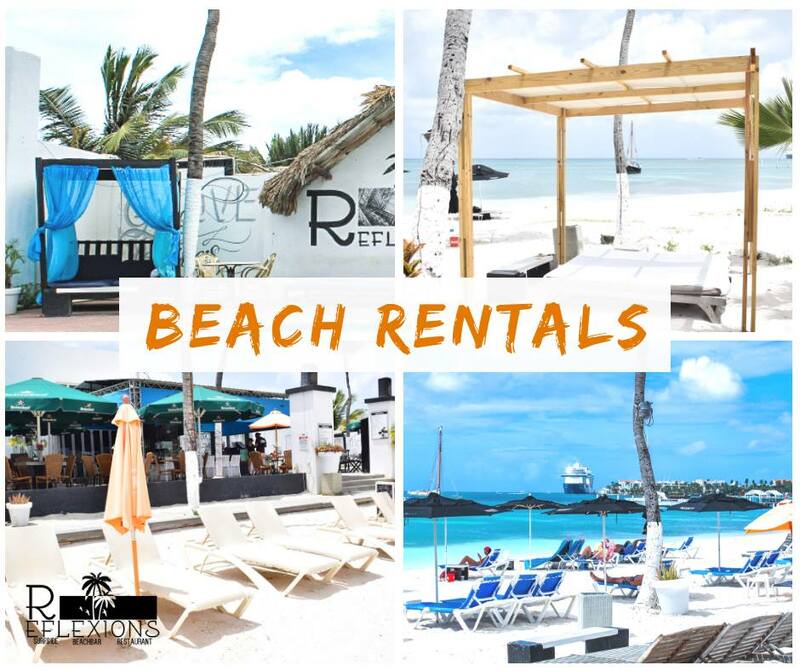 Reflexions Beach, the best beach in Aruba has established itself as a landmark for ultimate parties, celebrations, and entertainment. Always living up to its reputation as best beach in Aruba it is a party playground for locals, family's and young party people. 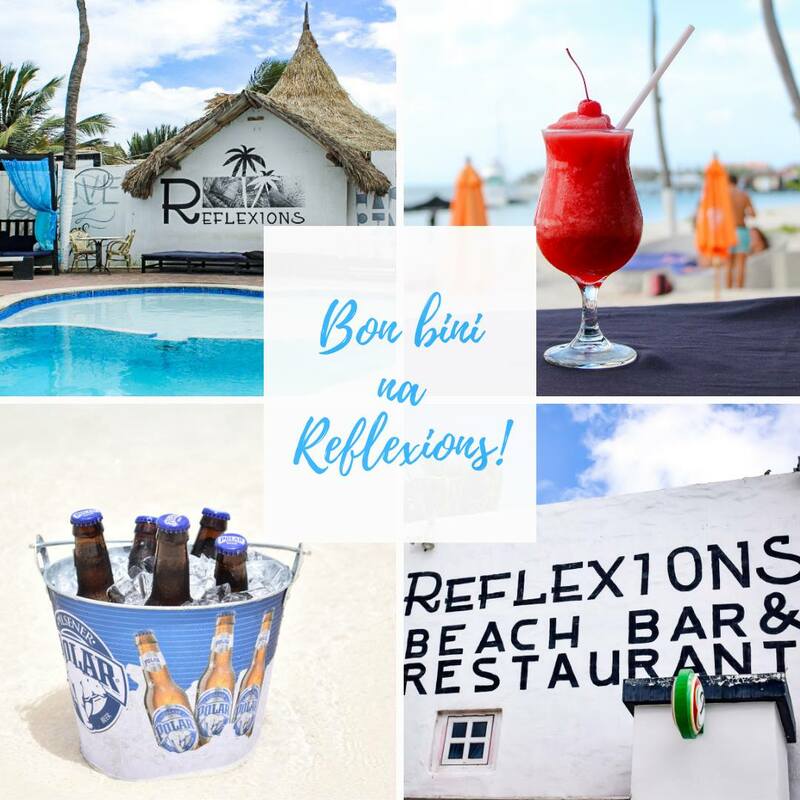 Reflexions Beach also offers a restaurant with the best sunset view of the Caribbean in a romantic atmosphere. Our beautiful white sand beach will be the perfect place to enjoy a romantic evening and an excellent meal. At Reflexions we have all the elements to enjoy your day to the fullest! Our restaurant is open for lunch and dinner. You might also want to try our snacks at the bar or on the beach! We can assure you that our food is of excellent quality, tasty… and very reasonably priced. When we are comfortable, we remain relaxed.